I haven't run since. My ankle is still black and blue, but I'm walking on it and did workout on the elliptical on Saturday. 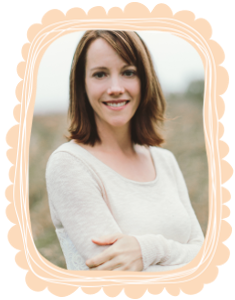 All that said, Denise from Run DMT and I have become bloggy friends recently (when I started looking for running sites for suggestions and tips) and she agreed to write a guest post today. Denise is a a mom who started running in 2007 and #39 of 100 things you can learn about Denise on her site is that when she began running in February of 2007 she could barely run 1/4 mile. 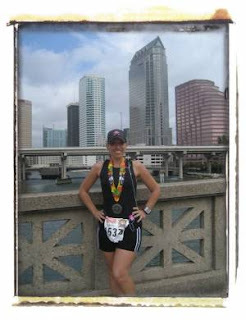 And now this momma is running marathons!! You go girl! Here is a link to the list of races that she has run in the last couple of years! That's impressive! So, I thought, since a lot of you mommas have never run races before, most of us have never run a 1/2 marathon before and a few of you just had babies in the last six months, you would all benefit from Denise's encouragement and a few suggestions on how to run as a mom...the title "Run Like a Mother" was hers and I think it is hilarious and completely appropriate! By the way, please leave Denise either a nice message here or on her blog so that she knows that some of my girls stopped by and were encouraged by her successes! Whether you’re a mom training for your first 5K or your first marathon, finding time for your daily runs can require some training too. If you’re a SAHM like me, chances are you’re on a limited budget. Between preschool, extracurricular activities and other costly children related activities, it leaves little money for a gym membership. Besides, I prefer running on the open road to running on a treadmill. So, if you don’t visit a gym regularly, when do you find time to run? 1. Run before the sun! Even before my SAHM days, I was always an early riser, but once I became a runner, I had to train and motivate myself to run before the sun and my family rose. I quickly discovered that if I didn’t hit the streets by 6:00 a.m., then the rest of the day would be a lost cause. With the moon as my running partner, I began to love the ultimate me time while running in the dark. On occasion, I have missed my early morning window of opportunity to run and I would force myself to run with a jogging stroller later in the day. I call these my forced easy runs even though it is never easy for me, because I have never been able to get the hang of running with a jogging stroller. I always feel so constricted with my arms tethered to the stroller and my pace always seems off and much slower. It just makes me long for my “me time”. 2. Run after the sun. Some moms prefer to run after the kids are in bed, but I could never get the hang of running in the evening. After a long day of chasing after children, the last thing I would want to do is run. By nightfall, I’m ready to hit the bed, not the pavement. However, if you are a night owl, then a night time run may work for you. Then, some mommy friends and I had a wonderful revelation. Since many of us were training for the same races and distances, we could meet at the park and take turns watching each other’s children while a small group of moms went for a quick run. We began a running swap with six moms and our little running arrangement worked perfectly! We found support and motivation among our small running group and our children enjoyed a play date at the park. Depending on the number of children you and the other moms are willing to watch, you can set-up a babysitting swap with as little as two moms or ten moms, however a babysitting running swap works best if you are simply trying to find time to run approximately 3 miles. Some moms get nervous about watching someone else’s children, yet on the other hand, some moms are nervous about leaving their children too long. Plus, there’s always the dreaded separation anxiety factor with young children. But if you can swing a babysitting swap with your running mommy friends, I highly recommend it. Your children will love the opportunity to play with their friends and you will love the opportunity to fit in a guilt-free run. Between chauffeuring kids to and from school, entertaining toddlers or playing with preschoolers, only another mom can understand how difficult it can be to fit it all in a day. However, if you are serious about running and training for races, then you need seriously need to find time to run! I never thought of trying to do a workout/ babysitting swap! What a great idea. 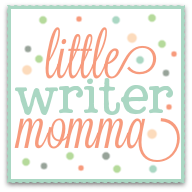 Thanks so much for visiting my new little bloggy site! I love your entries and it's so great that you are a runner :-) as I just started the Couch to 5K last week so I need ALL the bloggy encouragement/info/lowdown I can get. I look forward to reading your entries. 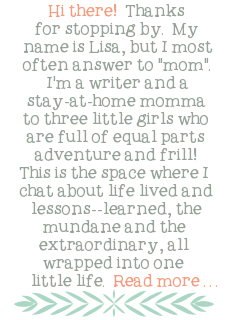 Lisa, congratulations on your 2 published articles (mentioned in a previous post) -- that is so awesome! I hope your ankle gets better very soon. For this article I would like to add that I've actually gotten pretty comfortable running with my jogging stroller, I think the key is you have to get a really good stroller with pretty large wheels. I'm pretty cheap when it comes to most things in life, but the jogging stroller is definitely one I'm glad I splurged on! Now when I occasionally get to run without it, I miss it because I don't have that awesome stroller pocket to stash my phone, keys and water bottle in!